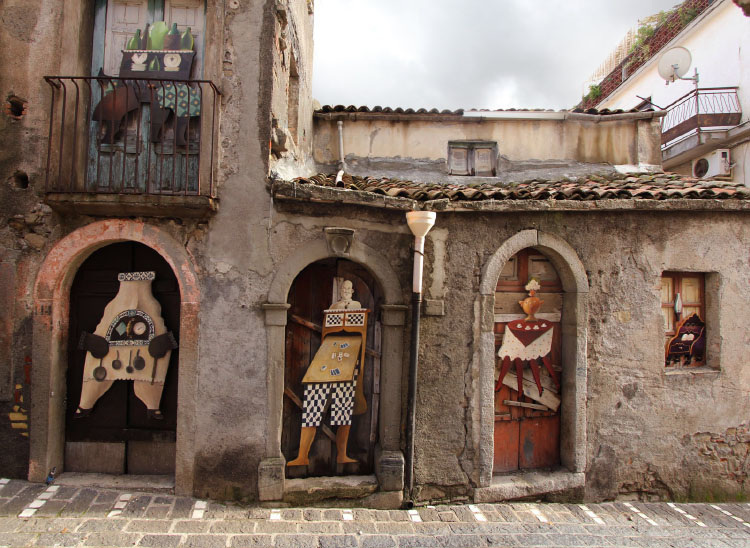 The Graniti Murales Artist Residency provides an opportunity for national and international artists to break out of their studio, to a unique rural town tucked away from the city in the northern mountains of Sicily. A town that has opened its doors and welcomed the creative expressions of artists from around the globe. We encourage both experienced site specific artists to apply, as well as those with the drive to challenge themselves beyond their typical work methods. We are less interested in eloquent “Art Speak”, and more interested in creating works of art that embed themselves into the community. Projects that embody the artist’s passion in their work. Not merely graphics on a wall. Meant to do what art has always been intended to do. To inspire. Enlighten. Educate. 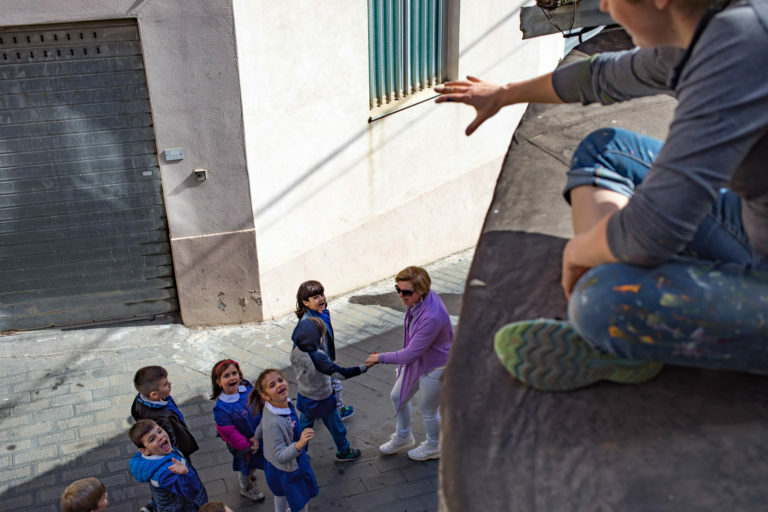 Graniti Murales offers residencies to national and international artists to create original works of Art within the public spaces of Graniti, Sicily. We typically produce murals applied to the walls within the town, but are open to other more experimental works that may include video, sculpture, written text, sound etc. Dazzle us. The organization is allowed to use all documentation materials such as photos, biographies, etc. to promote the project for marketing. It goes without saying that artists are expected to leave their work installed for the Project in Graniti. All works are summarized under the name "Graniti Murales" and can be visited during their installation process. The organization helps with tools, working materials, introductions, publicity in the media, and documents your residence and your project on this website. Works installed within the community will remain for at least 6 months. If you're interested in participating in our residency program, go to the application form and let us know a little bit about you and your work. Fill out the form and you will be directed where to send your CV and images after completion. Salvatore, a native of Graniti, founded Graniti Murales to breath new life into his hometown and give back to the community that he cares so much about. His business, Tasting Sicily, keeps him extremely busy and closely connected to many local food producers and events. It is this connection that adds so much local flavor (pun intended) to the artist residency... his knowledge of local history, foods, and traditions is priceless. Plus, he knows just about everybody. 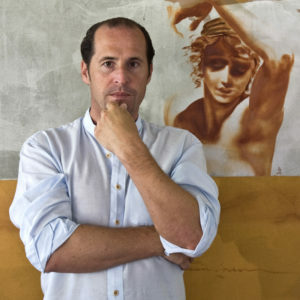 Richard studied at UC Berkeley,the California College of the Arts, and graduated from the San Francisco Art Institute. His work has been exhibited at the Bishop Museum (Honolulu), the Honolulu Academy of Art, the Contemporary Art Museum of Honolulu, SF MOMA, and many other group shows and solo exhibitions in Honolulu, Hawaii. Where he helped transform the creative community by co-founding a vanguard contemporary art gallery / multi-media space (thirtyninehotel) as well as an underground bi-monthly film-challenge (Showdown in Chinatown). Richard is a recent addition, moving from Istanbul, Turkey where he has lived for the past two years. Austrian painter and sculptor; also instructor in these fields. International exhibitions since 1990. His crossover activities contains: Performance "Phoenix out of the Ash" (burning paintings) 1998 - Video installation “techne” in Milan 2005 - novel "niemandsland" (in German) conceptual project and book 2007 - Lectureship for "Outside of the Gallery" and Universities in Palestine, supported by the European Commission and NGO`s 2009 - International Stone sculptor Symposium in Vättis (Switzerland) 2009 - curator of exhibitions and museum projects.